Adam Armstrong knows about conflict – the global kind and the internal kind. A veteran of the U.S. Air Force, Adam thrived on the purpose and structure that four years of active duty provided – and he spiraled without them. “When I came home and I disconnected and lost that sense of mission, that’s what really led to a lot of my drinking and alcohol abuse,” he says. The airman’s awakening came in the form of a car wreck, which led to a call to Alcoholics Anonymous and outreach that connected him with fellow veterans facing the same struggles. Since the summer of 2015, the Grand Island resident has served as a veteran support specialist with At Ease, a Lutheran Family Services initiative sponsored, in part, by a Blue Cross and Blue Shield of Nebraska Fearless Grant. 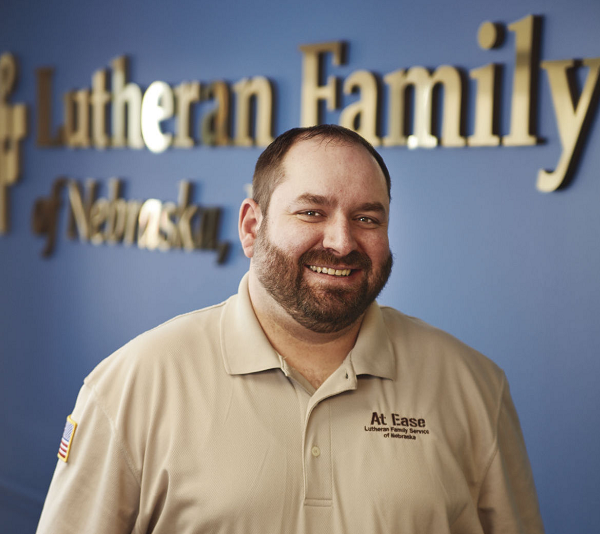 Adam knows his mission: supporting active military personnel, veterans and their families throughout central Nebraska, networking with them to help overcome financial, educational, employment or PTSD-related barriers to success. The biggest rewards, he says, come from the relationships. He recalls working with one veteran who was having some health and financial issues but was reluctant to ask for assistance. A sense of duty after the 9/11 attacks – that pull to do something “bigger than myself” – compelled Adam to join the Air Force in 2002. On active duty until 2006, he spent another four years with the Nebraska Air National Guard, a commitment that saw deployments to Kuwait in support of Operation Iraqi Freedom, Operation Enduring Freedom and Operation New Dawn. Almost nine years sober, he says working with At Ease is a continuation of his call to service; his way of giving back to those veterans who helped him when he was struggling. 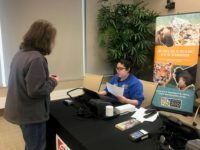 “Faces of Fearless” is a storytelling series in Blue Cross and Blue Shield of Nebraska’s “Live Fearless” campaign celebrating people living their very best lives and inspiring others to do the same.